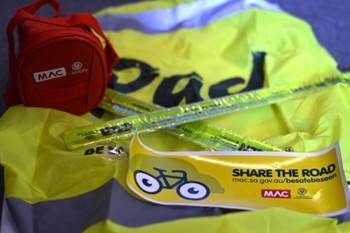 WHAT: The Bike SA and Motor Accident Commission (MAC) Be Safe Be Seen presentation reveals the findings of NEW SA cycling casualty research; providing local, detailed information on where and how crashes most commonly occur, and how best to avoid them. Every attendee receives a safety gift pack, containing: quality USB bike light, saddle bag, backpack cover, slap bands & free 3 month membership to Bike SA. (Please note: these are strictly limited to those in attendance on the day). Highly relevant to ALL levels of experience, including the most experienced cyclist and motorists, the presentation contains surprising and essential information for anyone using our roads. Byron Rd, can we get it right this time? Paid Parking:where to from here?